By prioritizing the overall comfort and wellbeing of its customers, the Honeywell Store has established itself as a premier retailer in providing the absolute best in Heating and Cooling. Now that we've officially crossed into the fall months, it's the perfect time to begin outfitting your home or place of work with a Honeywell Heater that best exemplifies performance, longevity and versatility. The Honeywell Store has assembled a diverse series of heaters that are guaranteed to provide the maximum in warmth in a steady and efficient pace. Earning the title of "Best Buy" by a leading consumer magazine, the Honeywell Deluxe EnergySmart Cool Touch Heater is an incredibly efficient heater that utilizes EnergySmart Technology to regulate power consumption while providing an indicator that displays overall energy usage. When used accordingly, this heater carries the bonus of saving you up to an additional 35% on your next energy bill. Ideal for heating large and wide areas of space, this heating unit comes with a programmable thermostat and two separate heat settings. 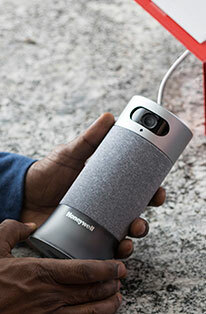 Combining the themes of portability and efficiency, the Honeywell Heat Bud Ceramic Portable-Mini Heater is an energy efficient solution that provides just the right amount of heat. 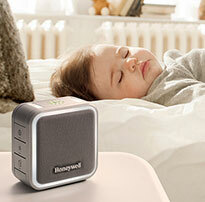 This Honeywell heater is the ideal candidate for all personal spaces and can be implemented in any number of settings. The Honeywell Store has also stocked its online catalogue with a series of tower heaters that include an abundance of user-friendly additions. The Honeywell Easy-Glide Digital Tower Ceramic Heater comes equipped with a programmable electronic thermostat that allows users to easily identify and read the temperature display. 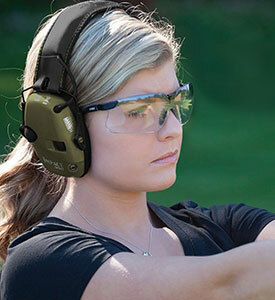 New measures in safety have also been incorporated and include a safety tip over switch and a safe guard alert badge that actively warns nearby users of hot surfaces. The Honeywell Digital Ceramic Tower Heater with Motion Sensor is another increasingly easy to access portable heater. This heating solution brought to you by Honeywell includes digital controls and a large LCD display that allows for seamless navigation and a hassle proof approach to adjusting and modifying your heating unit's output. These Honeywell Heaters and a host of other heating options are readily available for purchase online at the Honeywell Store. Get the better of the upcoming winter season with Honeywell and their one of a kind approach to heating. 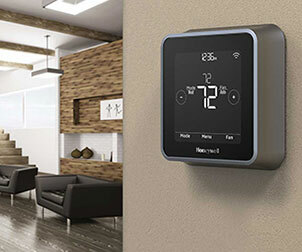 The Honeywell Store also features an extended selection of Honeywell Thermostats that range from the relatively simple to maneuver models of yesteryear to a series of technologically superior thermostats that utilize voice control and touch screen options.